The M2R 280 helmet is vailable in a huge range of colours, graphic designs and with or without a peak, so no matter what colour combination you like we will have one available for you. The 280 is an extremely versatile and comfortable open face helmet, perfect for those who want the freedom of an open face helmet with the added safety and protection of a high quality visor. Available in 2 separate versions, with or without peak. 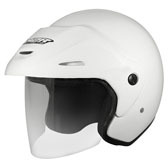 * NOTE - '280 With Peak' version only comes with separate colour coded base plates so you can use your helmet with or without the peak. 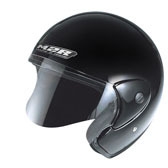 The M2R 280 helmet features a lightweight ABS injection Moulded shell, and a plush comfort interior liner. 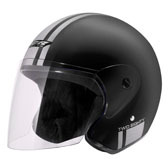 A high quality clear face shield comes standard with the helmet, and dark tint visors are available as an accessory. 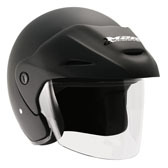 The 280's visor offers far greater comfort and protection than a standard open-face helmet, and can be used with or without a peak.